THE delusional, painting-himself-as-the-victim Benoît Battistelli is in some headlines again. He probably would rather not be seen right now, especially in light what he’s in headlines for. 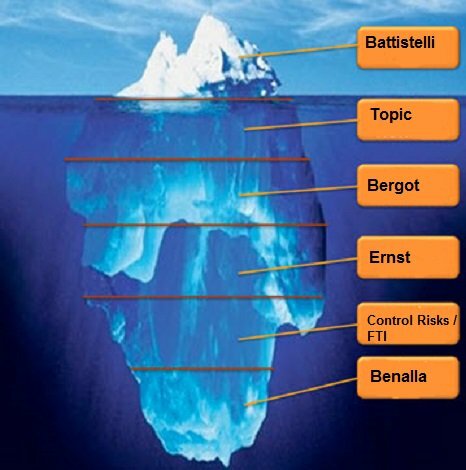 Some French media (very large networks) approached us for information; Battistelli’s obsession with violence (like terror attacks) is well documented, even if there’s no history of violence at the EPO. 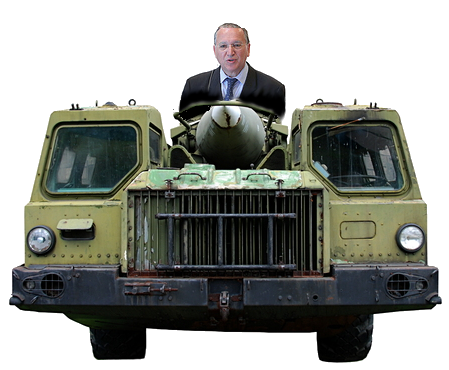 Battistelli is a chronic paranoid, having developed an obsession with bodyguards predating his time at the EPO. The hiring of Alexandre Benalla as his 'hitman' was a mere symptom of it. SUEPO has just taken note of it (at long last), having just linked to this new article in French; there’s hopefully an English translation on its way (SUEPO often produces these for articles after linking to them). Les sénateurs auditionnant Alexandre Benalla ce mercredi 19 l’ont notamment interrogé sur son parcours professionnel, et son poste de garde du corps de Benoît Battistelli, président de l’Office européen des brevets de 2010 à 2018. Alexandre Benalla a dit ainsi n’avoir “jamais parlé à Emmanuel Macron” ou à son directeur de cabinet Alexis Kohler de celui qu’il considère comme un “grand serviteur de l’Etat” qui a “eu d’excellents résultats”. Benoît Battistelli traîne cependant une réputation sulfureuse qu’ont soulignée à demi-mot plusieurs sénateurs. “Judge Corcoran was accused by Battistelli of possessing a ‘weapon’ because at his office he actually kept just ordinary sports equipment (club we’ve presumed) he used for exercise purposes.”So it was Battistelli who brought firearms to the EPO while falsely accusing judges of having weapons in their office. We could never quite confirm that Judge Corcoran was accused by Battistelli of possessing a ‘weapon’ because at his office he actually kept just ordinary sports equipment (club we’ve presumed) he used for exercise purposes. The details about this were always quite vague. From the point of view of patent quality (our main focus all these years), Campinos has been an utter disaster. They’re organising pro-software patents events and keep promoting this agenda dozens of times per week. It was done about 4 times yesterday (it’s increasing in frequency over time) and such devaluation of European Patents (‘diluting’ whatever value they once had) will deepen the cuts. There are already layoffs in effect, but the media refuses to write about these because the EPO does not publicly acknowledge that. “There are already layoffs in effect, but the media refuses to write about these because the EPO does not publicly acknowledge that.”Ellie Mertens, writing from New York for a publication that helped Battistell promote the UPC, speaks of “Managing IP’s Life Sciences Forum,” i.e. another think tank (yet another one!) of the litigation ‘industry’, i.e. firms whose contribution is ruinous at best. Notice how sites like these (IAM, Managing IP, IP Kat) totally and very much by intention ceased covering EPO scandals. It’s not because these scandals ended; it’s all about their agenda and the changing roles at these sites.